This was a fascinating book. Nicely laid out with complex cognitive systems described clearly. 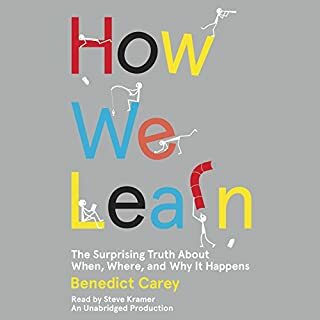 My only issue was that the book is slightly mischaracterized to be about "learning" when most of it is on memory and recall. The author does touch on deeper levels of learning- application, synthesis and making connections. I would have liked more here. Still a really great listen.